Dominik’s newest invention is all about the manifoldness of nature and the process of transformation when stones become jewels. 3,500 different minerals have been discovered so far. Dominik has chosen three jewels that carry animal names and has female artist Miri D'Oro bring them alive on the cover with her self painted bird collage technique for which she has gained international reputation. The opening track of his new Traum EP "Taubenblut" (eng. dove blood) starts off with an excursion into massive deep baseline spheres all dubby and minimalistic by nature. 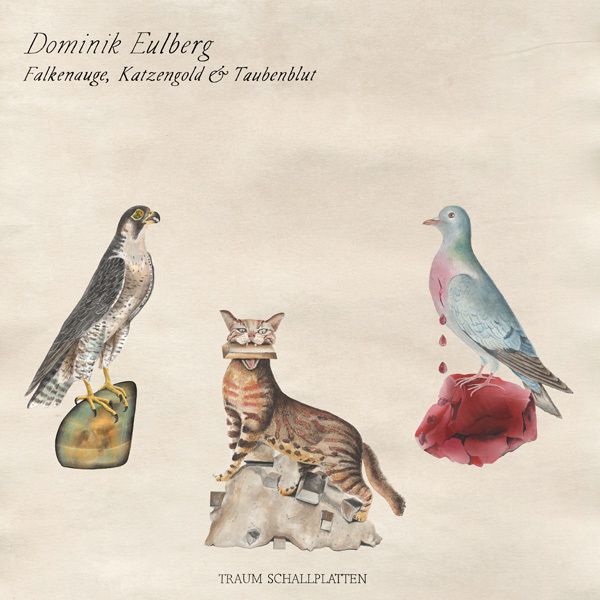 But all of you who know Dominik Eulberg will appreciate that it does not take long for one of his unique melodies to then conquer that feeling. This time that sequence is bold and made out of sweat and tears (crystals) and manifest a collective spirit par excellence! Viva La rave! It is a seductive melody that shines like a turning crystal while delivering simultaneously fine and deep cuts to your skin. But feelings won’t become stale with Dominik Eulberg and so he adds layer upon layer, to destroy the theme and to lead us to another level. When all of it snaps and plunges into an underwater world we know that this arrangement is as thought out and skilled as so many of his tracks in the past. 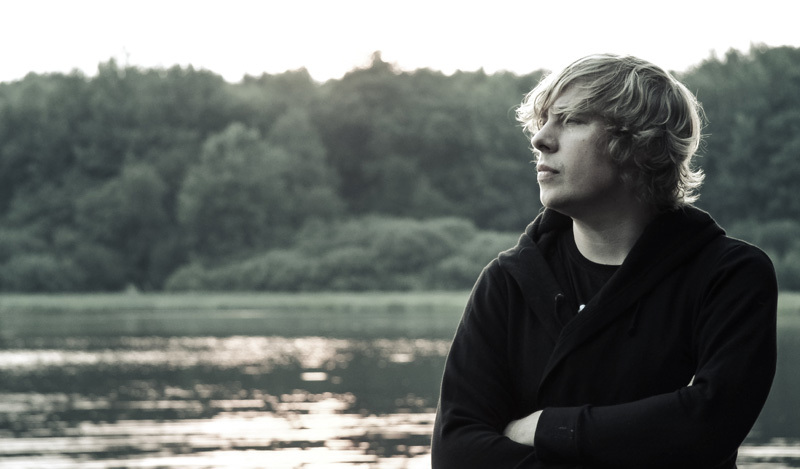 "Falkenauge" is a track which speaks the language of Dominik Eulberg’s recent releases on Traum, expressing an explicit feeling of wanderlust, advocacy and longing. It is a walk through nature all picturesque and colorful and if you listen closely, the sequences seem to „talk“ to you. Which is not a mere phrase but actually seems to really have this affect on the listener. 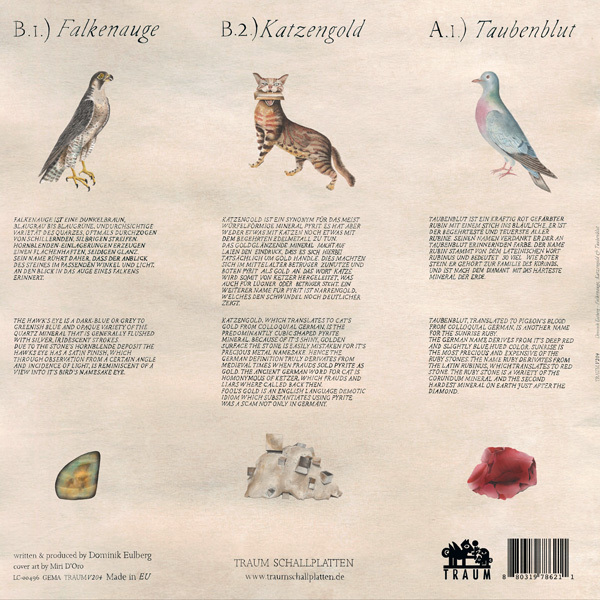 Witness joyous ripples of melodies of blooming wildlife with "Falkenauge"! "Katzengold" describes an atmosphere of perfect harmony with nature, no hardship, no self destruction... and this is what Eulberg has always been best at. Living in the Westerwald has given him enough ideas to draw from, to write a track that can caress our senses. For all of you who liked his "Die Strandmieze von St. Peter-Ording" expect that heartwarming and jolly feeling to hit you again.